Learn how to make this easy homemade pumpkin spice hot chocolate from scratch! It tastes rich & decadent, but it’s only 40 calories with no sugar! Throughout my childhood, my parents loaded duffle bags, sleeping pads, sleeping bags, pillows, ice chests, and a tent into our minivan, checked to make sure my brother and I seatbelted ourselves in, and drove up to the mountains for summer weekend getaways. We switched off between Yosemite and Lake Tahoe as our final destinations, but we loved both equally for their beautiful scenery and numerous hiking trails. As soon as we eased to a stop in the campground, we unloaded the tent from the car first. After helping our parents hammer in the stakes and snap all of the poles into place, we started carrying the duffles and sleeping bags over to the tent, making sure we took off our shoes before slipping inside to minimize the amount of dirt that crept in. We had that whole routine down to a science! She invited us to sit at the wooden picnic table in our campsite, and she opened up the small gas-powered stove. After lighting it, she put a pot of water on the burner to bring it to a boil, and she handed each of us two coffee mugs. While waiting for the water to boil, we each ripped open two paper packets: one of instant hot chocolate mix (complete with mini marshmallows! ), and one of flavored oatmeal (I loved the apple cinnamon the most!). We dumped those into our two coffee mugs, and once the water was hot enough, Mom poured in just enough for us. While at the grocery store last week picking up more coffee, I spotted a box of those same instant hot chocolate packages from my childhood. 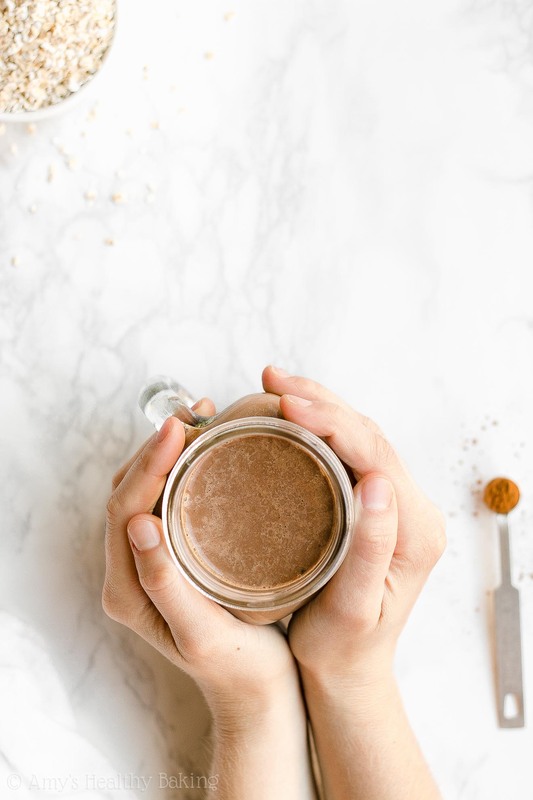 I smiled, but I left them on the shelves… And I made this Healthy Pumpkin Spice Hot Chocolate back at home instead! It’s smooth, rich, and chocolaty (and tastes better than those hot chocolate packets! ), and it’s so simple to make. Plus I love the way those cozy pumpkin spices taste with the decadent chocolate flavor! 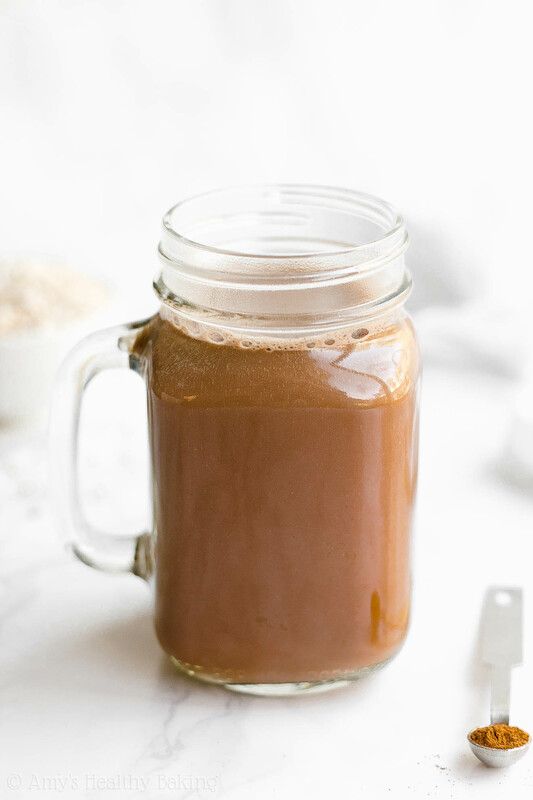 Bonus: This healthy homemade hot chocolate is only 40 calories! 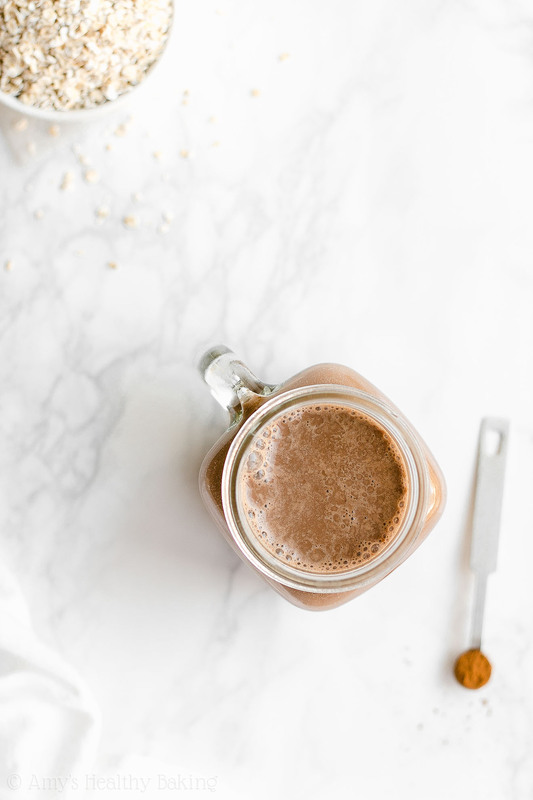 Let’s quickly go over how to make this healthy homemade pumpkin spice hot chocolate! To start, you’ll need milk. 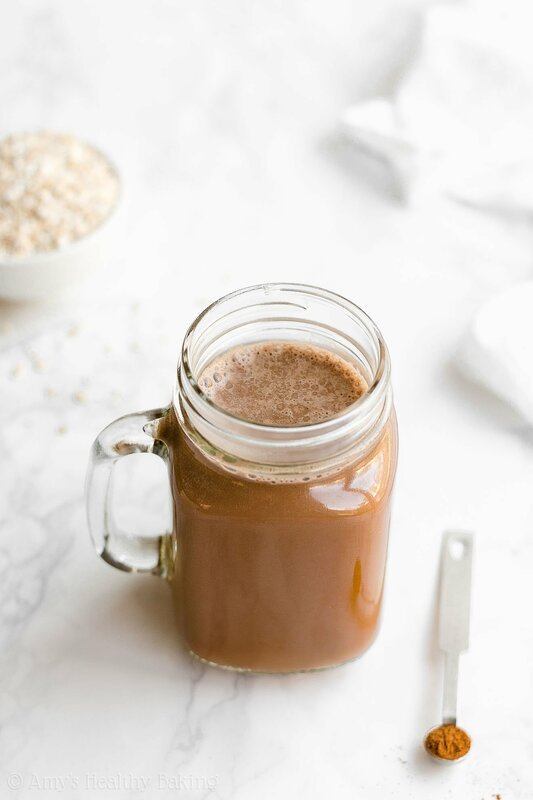 I actually prefer unsweetened cashew milk for my healthy homemade hot chocolate! 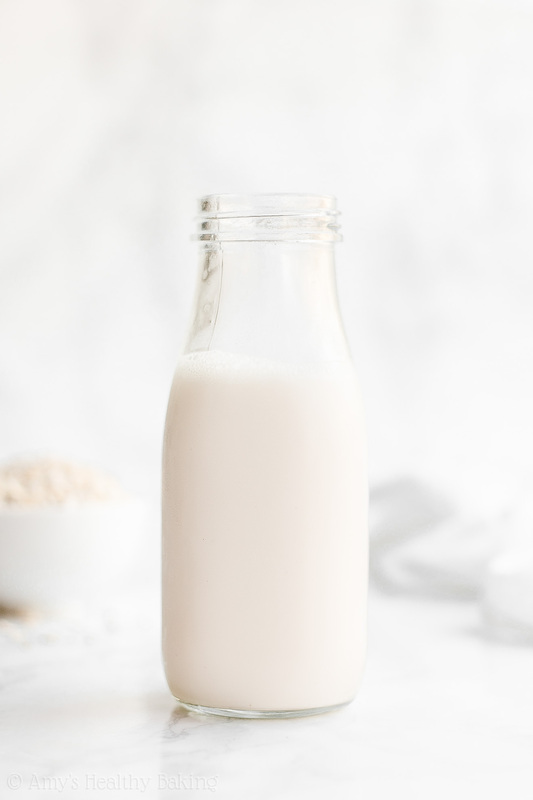 It’s much thicker than almond milk or nonfat milk, and it has a similar thickness to whole milk or light cream. 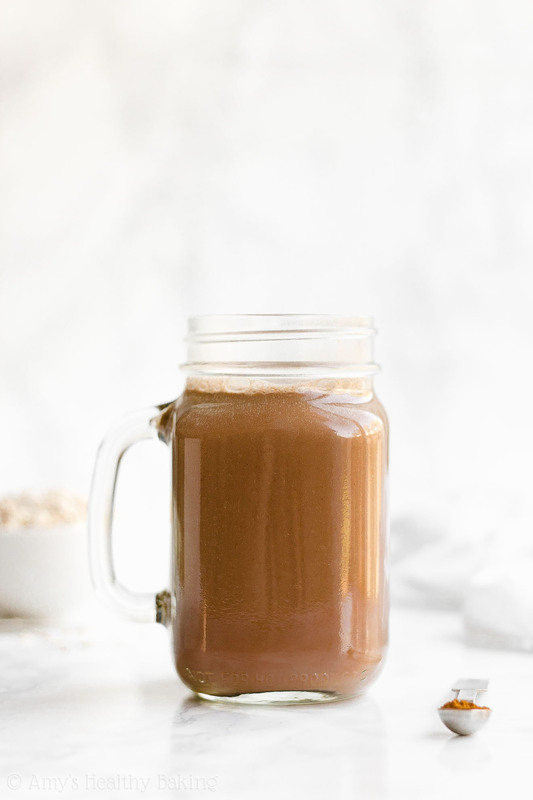 That texture makes this healthy homemade pumpkin spice hot chocolate seem much more indulgent than it actually is! Next, you’ll need pumpkin purée. Remember to buy the regular kind, not pumpkin pie mix! The latter contains spices and added refined sugar, which we’re avoiding in this healthy recipe. Instead, you’ll add your own sweetener and spices to your healthy homemade pumpkin spice hot chocolate! For the spices, you’ll need cinnamon, along with a teensy pinch of both nutmeg and ginger. I actually prefer a stronger spice flavor in my hot chocolate, so I usually add a little bit extra! Of course, we can’t forget the unsweetened cocoa powder! 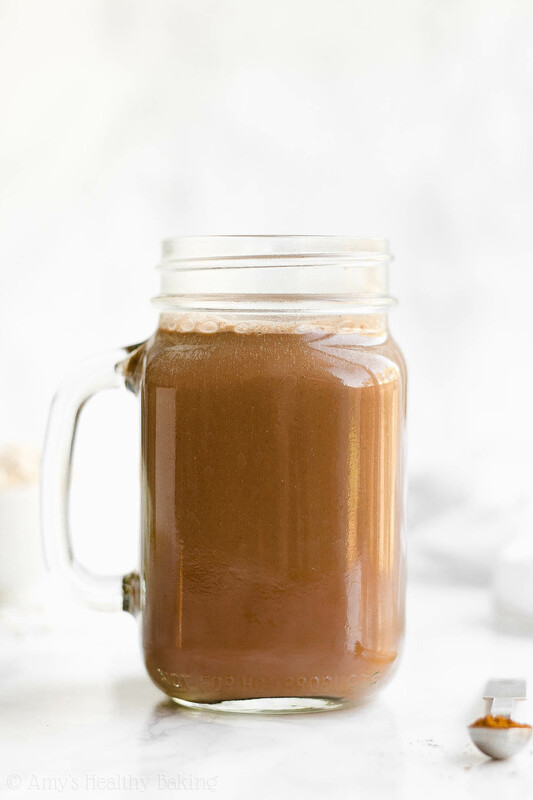 We definitely need a chocolate component to make this healthy homemade pumpkin spice hot chocolate. ? I prefer using the regular kind, instead of Dutched or special dark cocoa powder. The latter two end up tasting more muted and not as rich as regular unsweetened cocoa powder! However, one quick note… The cocoa powder easily overpowers the pumpkin flavor. 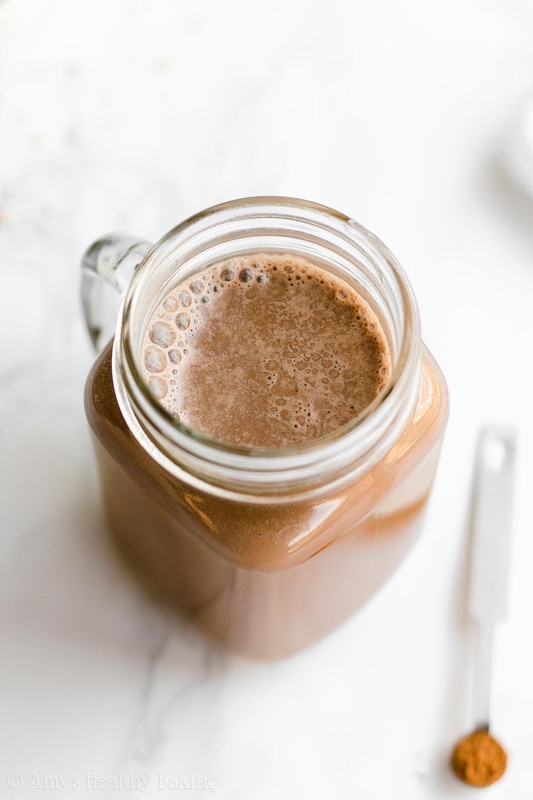 I don’t mind that at all—I love the flavor combination of rich chocolate and the cozy pumpkin spices!—but if you want a stronger pumpkin flavor, then just reduce the amount of cocoa powder that you use. Enjoy your festive fall drink! And when you make your own, remember to snap a picture and share it on Instagram using #amyshealthybaking and tagging @amyshealthybaking IN the photo itself! (That guarantees I’ll see your picture! ?) I’d love to see your healthy pumpkin spice hot chocolate! This fun flavor twist on classic hot chocolate is perfect for cool autumn mornings! It’s full of rich chocolate flavor and cozy spices. This recipe is easily doubled or tripled to serve more, too! Add all of the ingredients to a small pot, and whisk until the cocoa powder is fully dissolved. Place the pot over medium-low heat, stirring frequently, until the milk is thoroughly warmed through (about 2-3 minutes). Pour into two mugs and serve immediately. I actually recommend against using Dutched or special dark cocoa powder in this recipe. Both of those have a more muted flavor that isn’t nearly as rich as regular unsweetened cocoa powder. As written, this hot chocolate has a prominent chocolate flavor, and it’s very hard to detect the pumpkin. If you prefer a stronger pumpkin flavor, reduce the cocoa powder to 2-3 teaspoons instead. I actually prefer a stronger spice flavor, so I typically use almost double the amount of each of the three spices! Any sweetener may be substituted for the liquid stevia. (Although it’s one of my favorite ingredients! I buy it online here because that’s the best price I’ve found, and you’ll use it in all of these recipes of mine, too!) Adjust the amount of your preferred sweetener to suit your tastes.